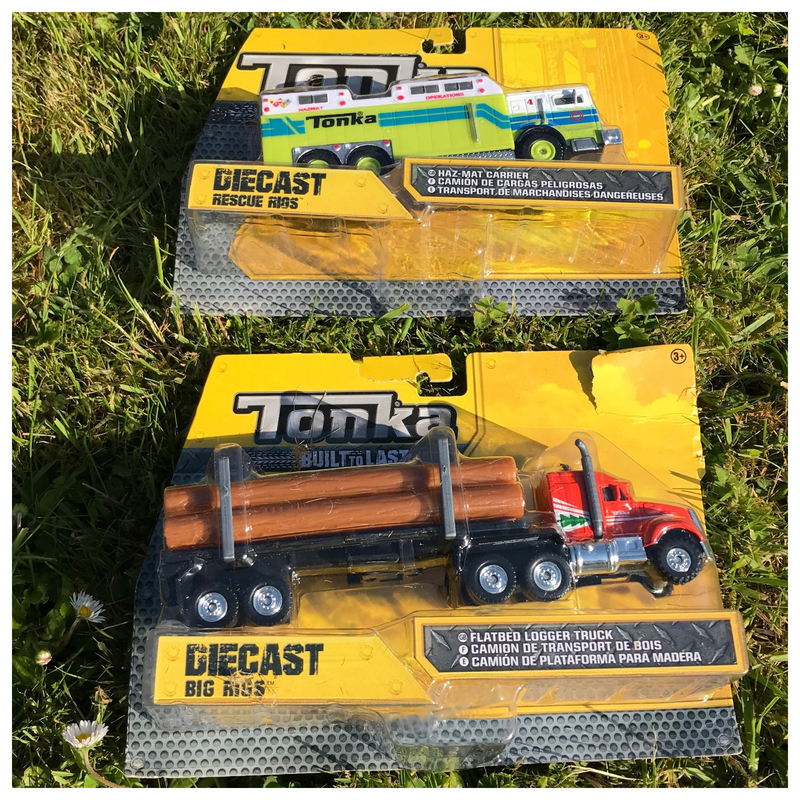 Tonka Diecast Big Rigs £6.99 each – I had a tough Tonka die cast big rigs flatbed logger truck with a haul of (plastic) logs. 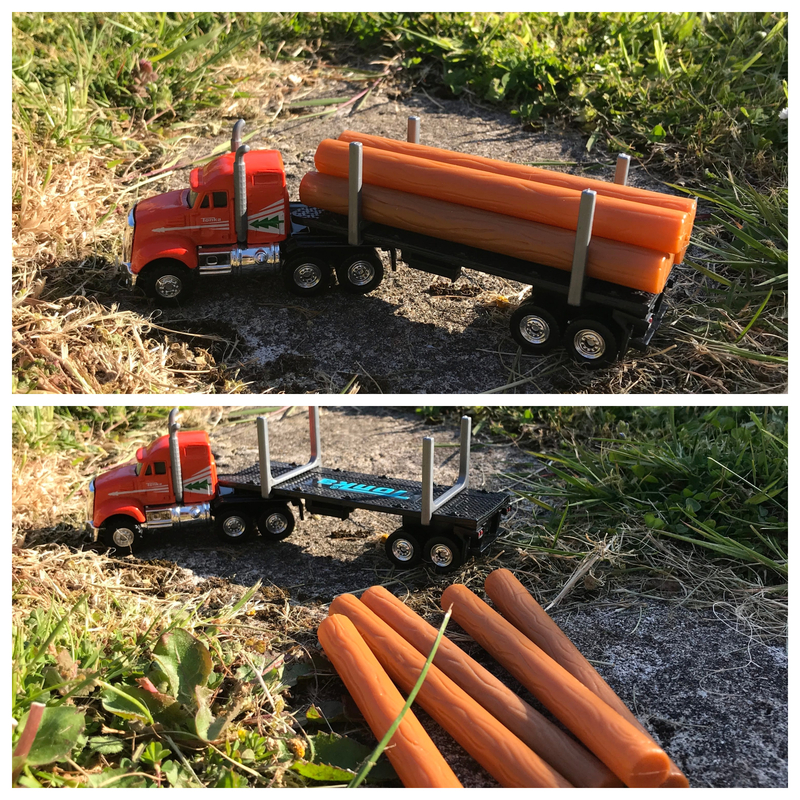 I can take the logs of the trailer and the trailer comes off too. I also had a Haz-Mat Carrier truck. 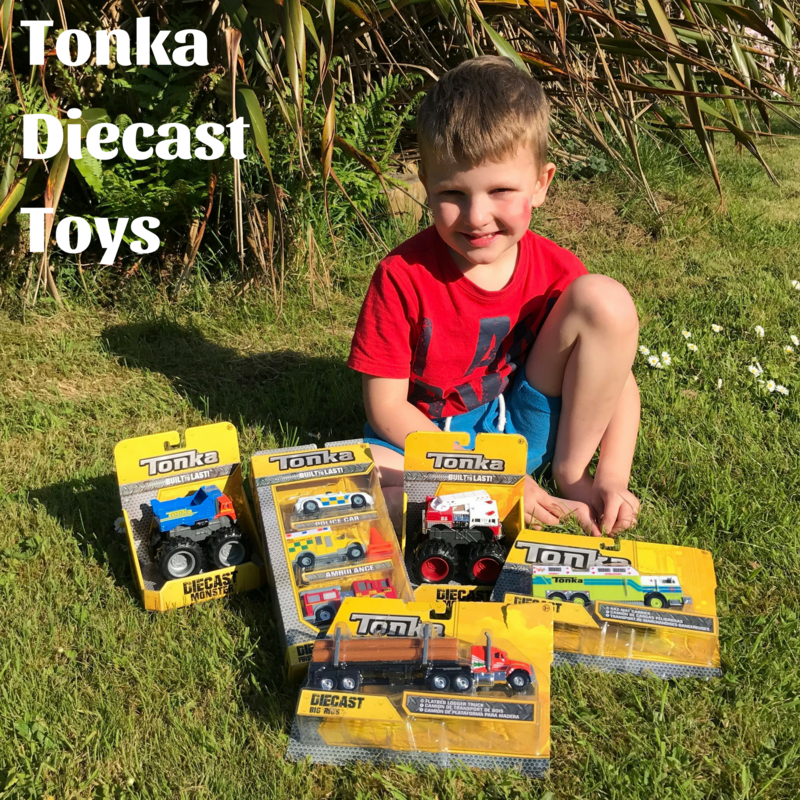 Tonka Diecast Monster Trucks £6.99 each – The Tonka Monster metal diecast collection built for crushing anything that gets in the way with massive monster wheels. 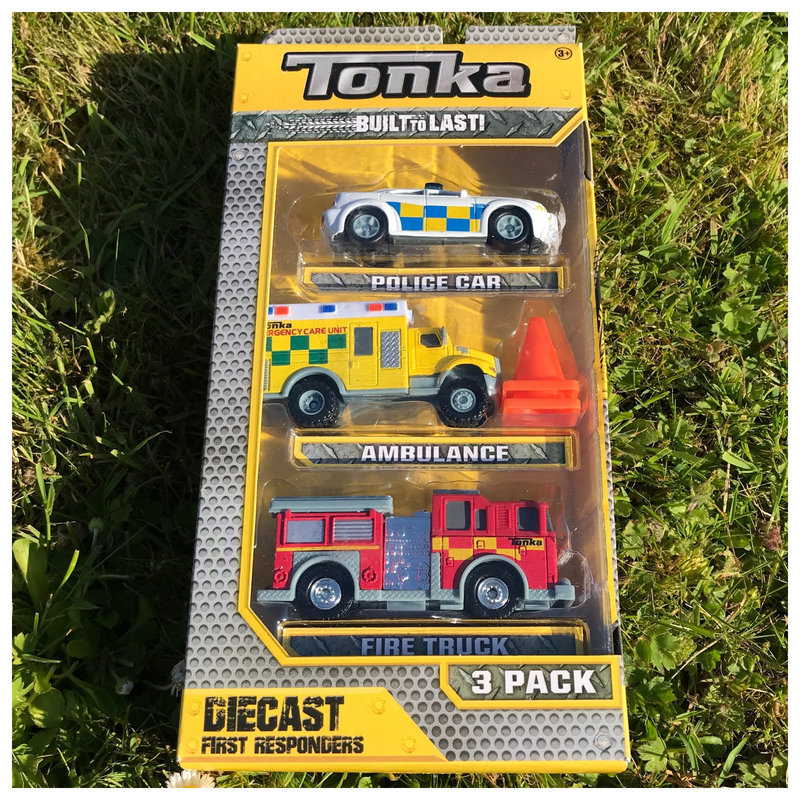 Tonka Diecast Emergency Three pack £11.99 each pack – metal diecast mini versions of real life emergency vehicles Police car, Ambulance and Fire Truck. These are brilliant value for money. 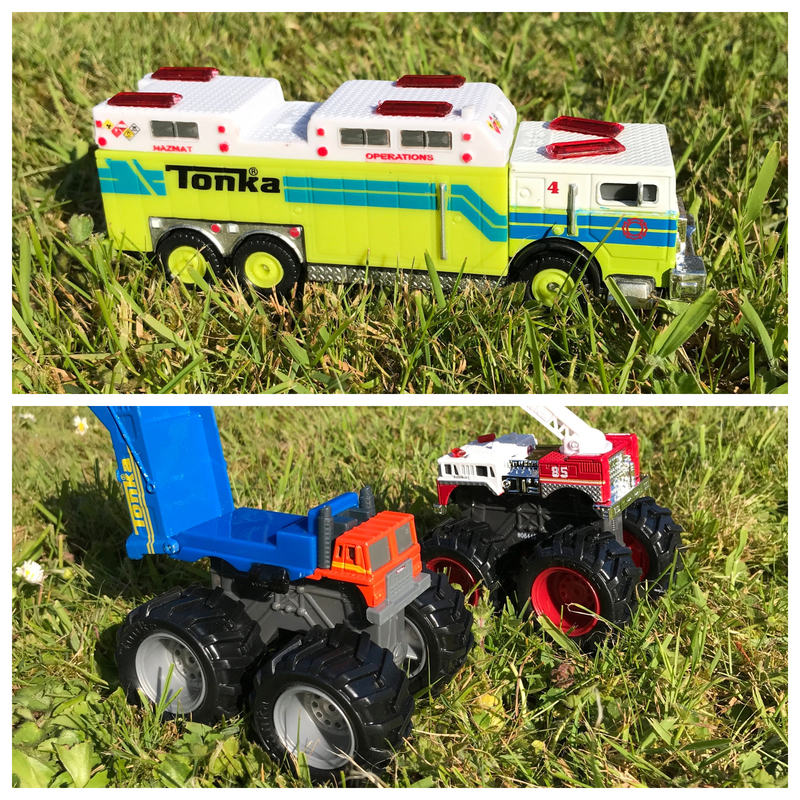 It is no secret that I absolutely love Tonka toys – and these sets are all so good. Strong, tough, I can play with them as rough as I like and they love it! 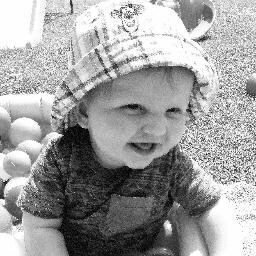 I have been loving playing outside with them in the lovely sunshine. 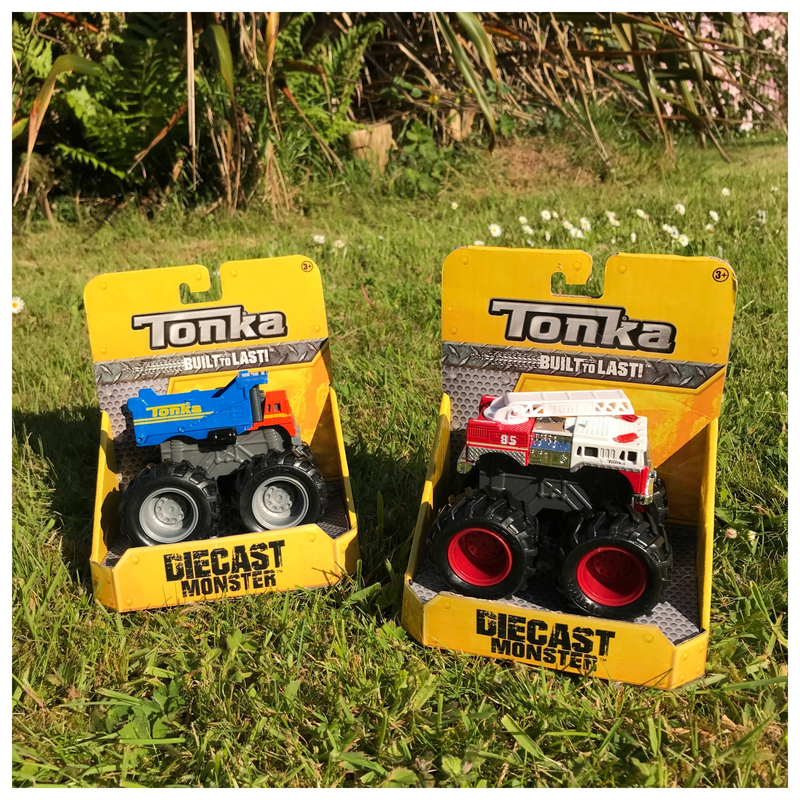 My friends have asked their Mummy’s for some Tonka Diecast toys for their birthdays, they love them too. 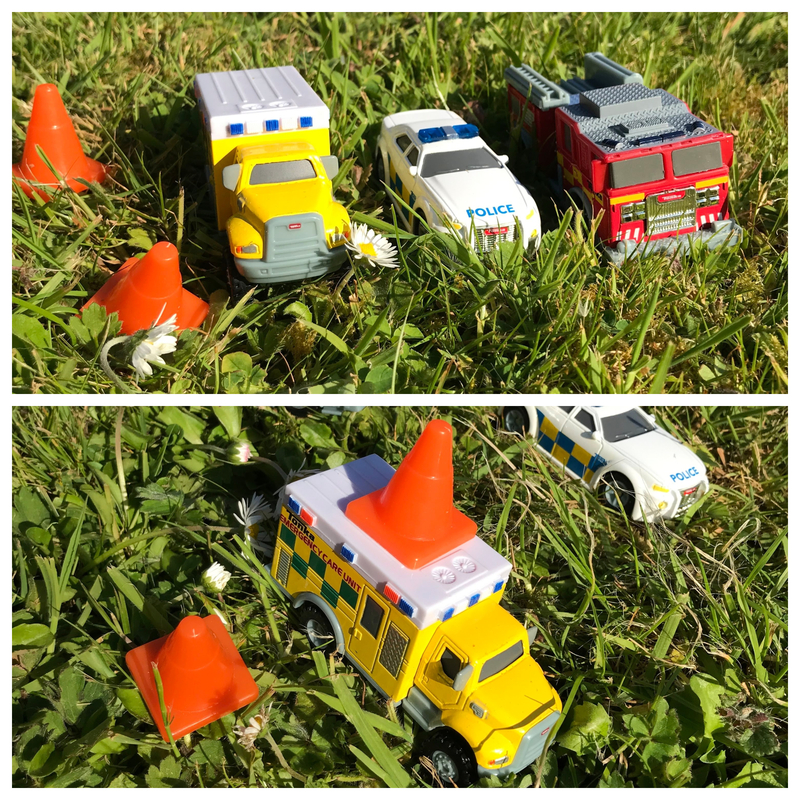 I have a pretty awesome competition for you too – you can win your very own Tonka Diecast Emergency Three pack worth £11.99. 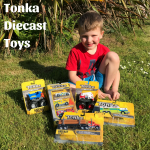 All you have to do to enter is answer the question in the comments ‘What do you love most about Tonka Trucks? All these trucks are suitable for ages 3+ and can be found in store at Asda or online at Amazon. They are cute and durable! 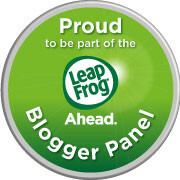 I love that they are robust and cleverly designed. I like that they are strong and well built. They are so robust, well made, realistic and can be played with for years! I love how bright the colours are.